Apple has always been one of the best and most creative brands in the world of gadgets, and the products they released were always tough to beat in all aspects. Apple Macbook, Apple iPod, Apple iPhone.. there has been nothing really beating them or more geeky in design and interface that could be called better than these products. 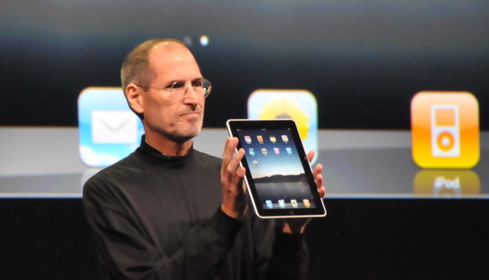 Now when there were smartphones and laptops in every hand, Apple has brought in a third kind, a tablet device. It has everything that a laptop needs to have, but smaller than a laptop, larger than a mobile phone and far better than both of them, helping in sharing photos, videos, music and playing games, reading e-books etc. Its a thin device with the best browsing experience, with multitouch features. It’s 0.5-inches thin, weighs just 1.5 pounds. Thinner and lighter than any netbook. 9.7-inch IPS display. The device screen displays the whole page and you can manipulate it with your fingers. The iPad can be rotated in any way, and adjusted with your wish. A4 chip – 1GHz. 16, 32, or 64GB of flash storage. Wireless connectivity – 802.11n, WiFi, and Bluetooth 2.1 + EDR. It comes with the built-in iTunes store, and all the music experience as in the macs. Emailing is easy and fast, with the horizontal view its pretty easier to view and type the emails. Get events, photos, places and faces from iPhoto. It includes accelerometer, compass, speaker, mic, dock connector. Battery life reaches 10 hours. Built-in slideshows, music playing with slides and transitions, large iTunes LP album network. iTunes store – nearly the same interface as the one on Mac, but still different from both mac and iPhone if you compare the entire make. Street view support to the maps. 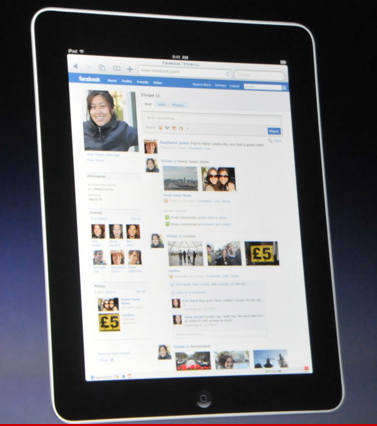 Similar to most of the other latest apple products, iPad is environment-friendly. Demos of Facebook app, Snowcross snowmobile game app. Gameloft was invited to test it and try to develop any gaming apps to run on the iPad. Nova, developed by Gameloft in just 2 weeks, was demo’ed in the event. Advantage of multi-touch can be fully taken to enhance the gaming experience. iBooks for e-books on the iPad – Uses the ePub format, the most popular open book format in the world. The iWork has been totally revised, including Keynote, Pages, Numbers etc. It costs $499 (16 GB) / 629 (16 GB 3G model), 599 (32 GB) / 729 (32 GB 3G model), and 699 (64 GB) / 829 (64 GB 3g model) and comes with GSM micro-SIM and data plans with AT&T. Check all the Apple iPad specifications and pricing.